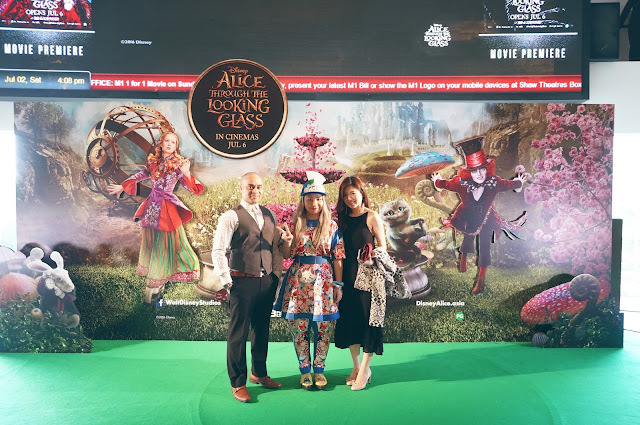 Maximum Extreme - The Ultimate Movie And Lifestyle Website: Alice Through the Looking Glass Singapore Premiere and Movie Review!!! 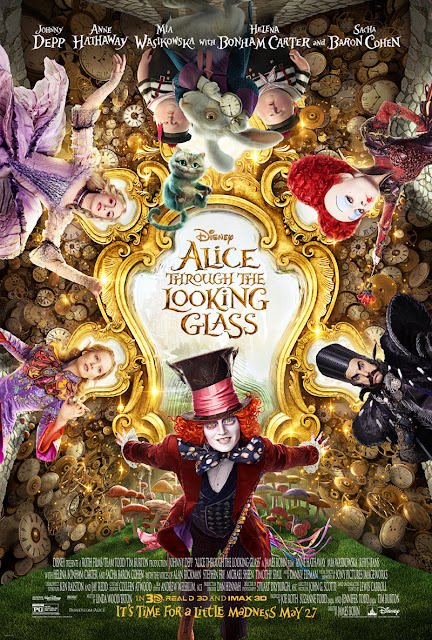 As a huge Disney fan, it was a real honor to be invited to the premiere of Disney’s Alice Through the Looking Glass. Here I am with the missus, fashion and beauty blogger Juliana Stryker. 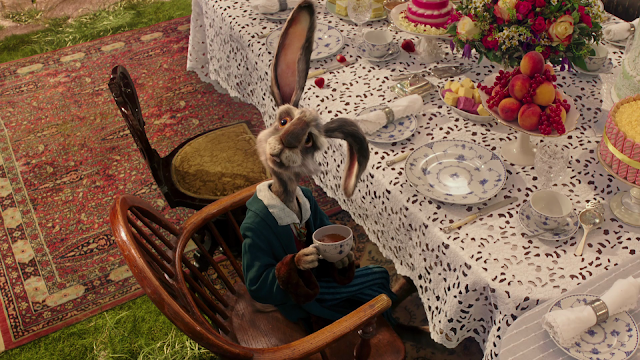 A whimsical tea party and Alice themed fashion show were the perfect prelude to the movie. We even managed to steal a quick pic with Gilda, designer and head honcho at fashion house RÊVASSEUR, responsible for all the fantastical designs on display. It reminded me of my own recent Alice in Wonderland themed shoot. Here are some Alice in Wonderland themed goodies we were given. Then came the main event, a 3D IMAX screening at Singapore’s Shaw Lido cinema. 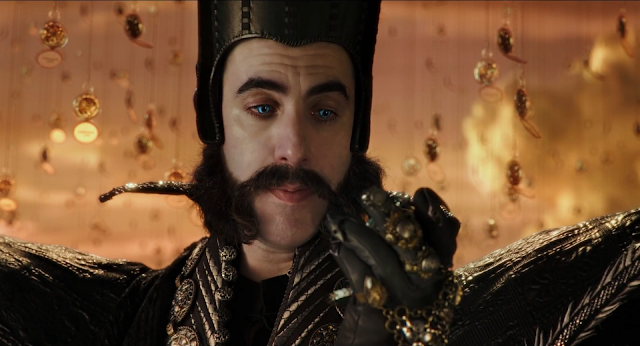 Before I talk about the movie itself, I have to talk about the IMAX screen. It was simply awesome. Now it’s not the first time I’ve seen movies on IMAX, but watching Independence Day: Resurgence the same day allowed me to make a back to back comparison and the experiences were almost like night and day. It finally allowed me to appreciate how truly colossal the IMAX screen really is. Every time someone walked past the screen at the front, they looked tiny! The best part, however, is the gradient of the seating arrangement. Simply put, even if a giant was sat in the row in front of me, I still retained a completely unhindered view of the screen at all times. Later that night watching Independence Day at one of the biggest screens at Cathay Cineleisure, it was immediately apparent how much bigger the IMAX screen is – but to make matters worse, a quarter of the screen was obscured by the head of the guy sat in the row in front of me. Thankfully, about half way through the film the guy slouched down and I could see more of the screen, but still not ideal. Conclusion – watch movies on either IMAX or at GV Gold Class if you’re as crazy about movies as I am. 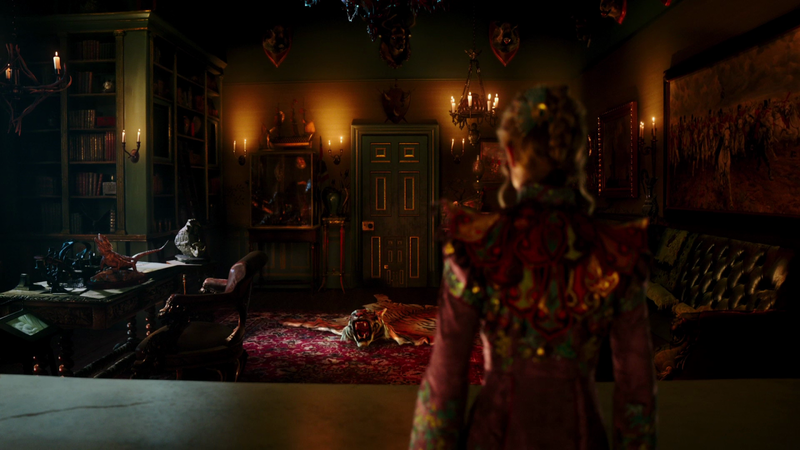 So how was Alice Through the Looking Glass?? 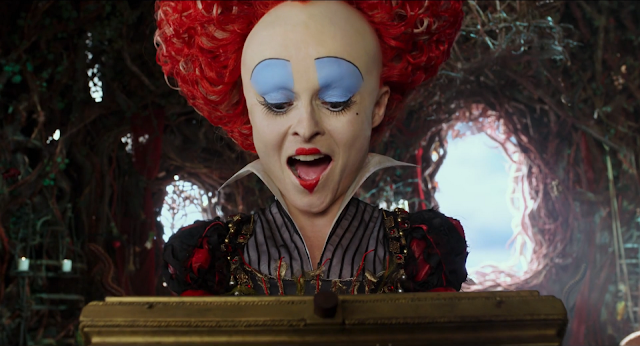 A significant improvement on 2010’s Alice in Wonderland in pretty much every way. 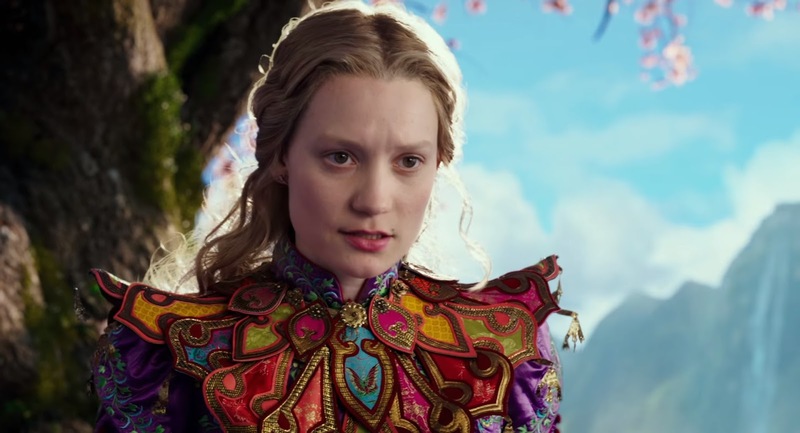 My biggest gripe with the original was that it wasn’t simply a live action remake of the original Alice in Wonderland Disney cartoon we were all hoping for. Instead it was just a random story featuring characters from Alice in Wonderland. Having said that, the original cartoon itself was rather peculiar with random, seemingly disconnected abstract stories. Tim Burton cited this as his main reason for deviating from the expected formula for the 2010 film. He wanted to make a movie about Alice rather than several short stories that Alice seemingly has no connection to. He wanted to connect to the dots to Alice herself. 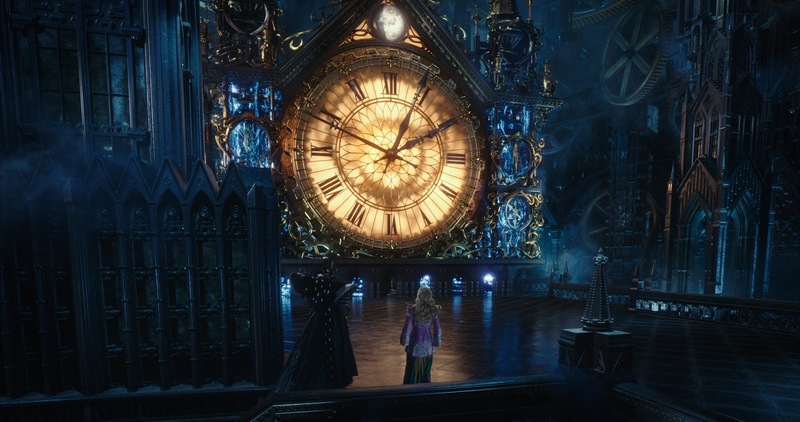 Alice Through the Looking Glass may be similar, alas it is still not the classic Alice in Wonderland tale that many of us have been pining for, but at least now with characters that we are already familiar with, and expectations primed, it’s much easier to sit back and enjoy the show. 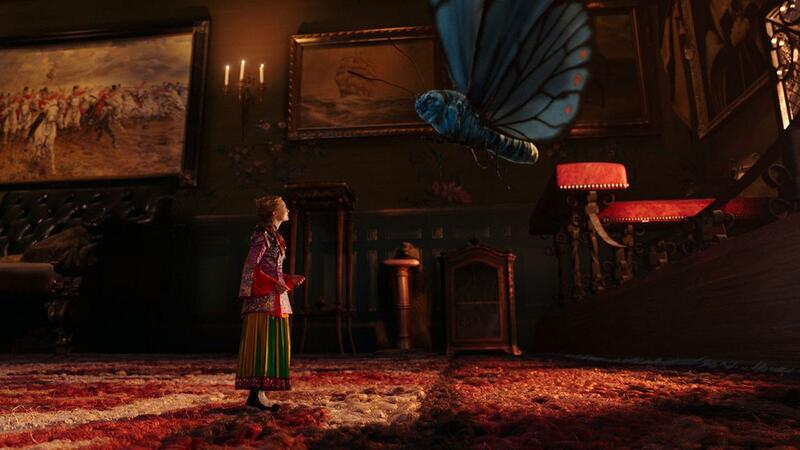 Alice finds herself travelling back to Underland only to discover a new dilemma facing her. 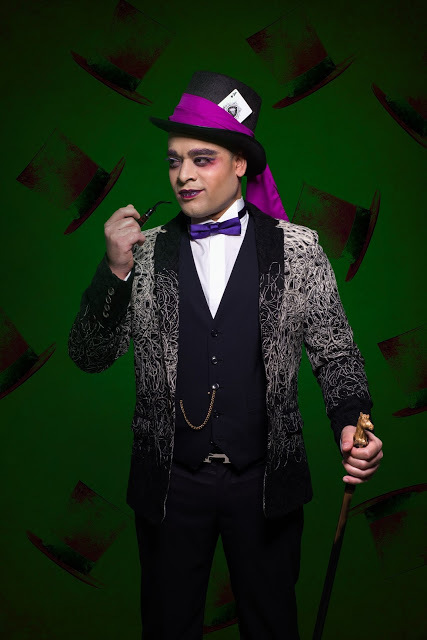 Her beloved friend the Mad Hatter is fading away and at risk of disappearing for good. 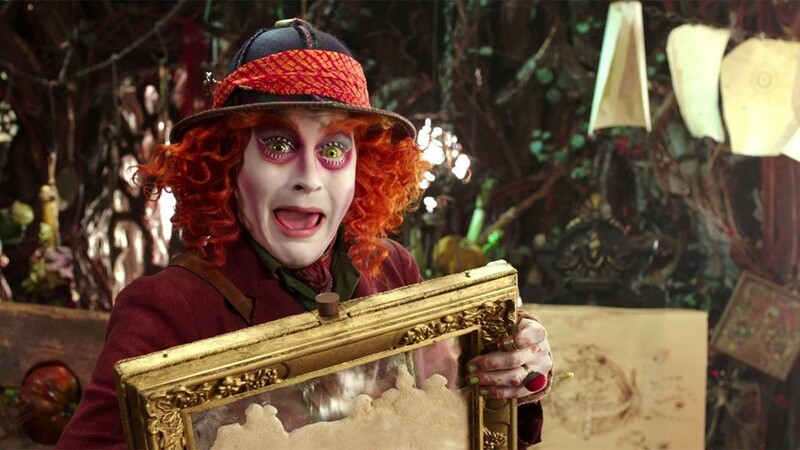 After a shocking discovery, the Hatter starts to lose his zest for life. Not knowing what to do, the Cheshire Cat and their other Underland friends entice Alice back to Underland to try and help. Alice realizes she has to decipher the Hatter’s past, a past which ties and connects everyone together, if she is to find a way of saving him. Enter ‘Time’, the dimension and the person! 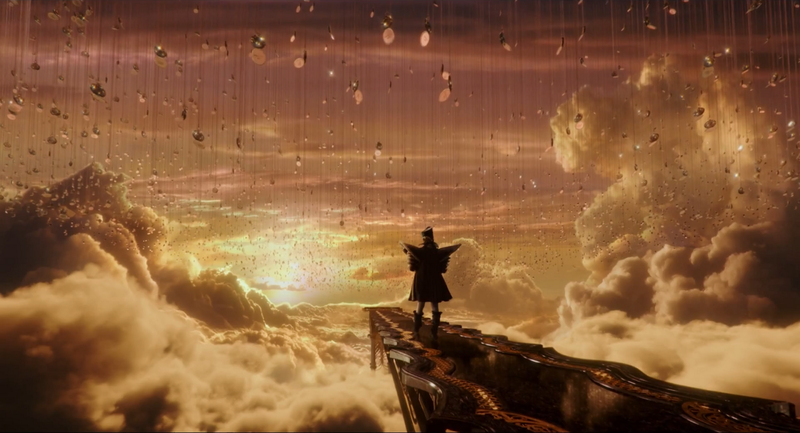 Yes, things get interesting as the movie turns into a pretty cool and unique mix of sci-fi and fairytale fantasy. Let’s just say that by the end of it I was almost expecting to see the Flash running around at crazy speeds to try and stop the whole universe from imploding! I revisited the 2010 Alice in Wonderland a short while ago in prep for watching this movie and was shocked at much the CGI had aged. Thankfully this latest installment looks great. This is one of the reasons I love Disney. Their production standards just seem unparalleled – regardless of whether we’re talking about their Marvel movies, Star Wars movies or their fairytales, you can always rest assured that your eyes and ears are going to be in for a royal treat. Alice Through the Looking Glass is no exception, it looks and sounds fantastic, though perhaps skip the hit-and-miss 3D version. 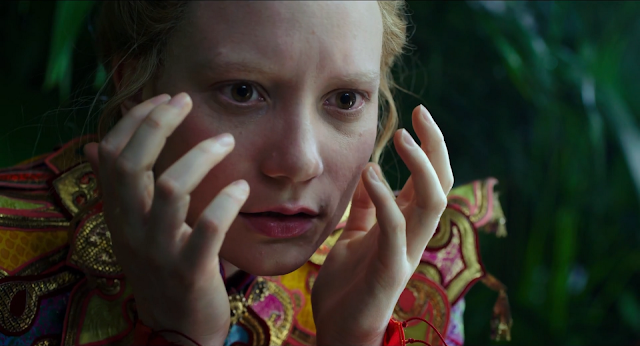 Looking Glass is a far funnier and better thought out movie than the 2010 original, building on the characters we were introduced to previously and developing them into characters we can start to actually care about now. 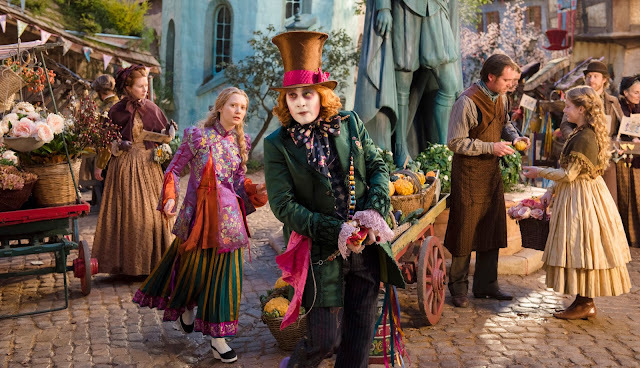 Those expecting a movie adaptation of the Alice Through the Looking Glass follow up novel from Lewis Carroll will likely still be disappointed, but those looking for a fun night at the movies should be more than satisfied. And hearing the voice talents of the late great Alan Rickman one more time surely can only be a good thing. All in all, a nice surprise and a fair bit better than the other movie I saw that day. Thank you Disney for an unforgettable day!! The movie is released in Cinemas in Singapore on July 6th, catch it while you can! Rating 3.5 out of 5.